Principally, Kundalini is known in all magical and mystical cultures, from the Bushmen of Africa, the Aboriginal Australians, the Hawaiian Kahunas to the Siberian shamans. The Indian yogis – strictly speaking the practitioners of Shaiva Tantra – were the ones to describe the Kundalini most exactly from a spiritual point of view and they have established a very sophisticated system of exercises on this inner force. Other Asian disciplines have been inspired by Indian practices too and even extended some aspects of this knowledge – from energy work with Chi to acupuncture. In Tantric yoga, psychic aspects and vital energies are usually represented in a personified way. It is assumed that the universe has an inner structure, from solid material in ever subtler grades of matter up to the most subtle spiritual light energies (see teaching on chakras); thus, every psychic and vital aspect has its personified representative in a more subtle layer. This applies to Kundalini as well. In its vital aspects it is depicted as a serpent, in its spiritual aspect as Shakti. Shakti is a magical, creative force which is personified as fairy (dakini) for the denser spheres (the lower three chakras) or as goddess (heart chakra and above) for the higher spheres. In her cosmic dimension, she corresponds to the Great Mother – a cosmic, intelligent force, which views all living beings as her children. The Shakti in human being or the Mahashakti in cosmos is the life-giving power – like a mother which gives birth to all life. This is the deeper reason why Shakti is seen as female. Because in Tantric yoga the cosmic structure is seen as polar, there has to be a male aspect as well. While Shakti is seen as the dynamic power, the male aspect is seen as passive and resting within himself. Iconographically this looks like this: Kali, the Mahashakti, ist dancing on the sleeping Shiva (see e-books by A. Ballabene "Shiva" and "The Teachings of Tantric Yoga"). 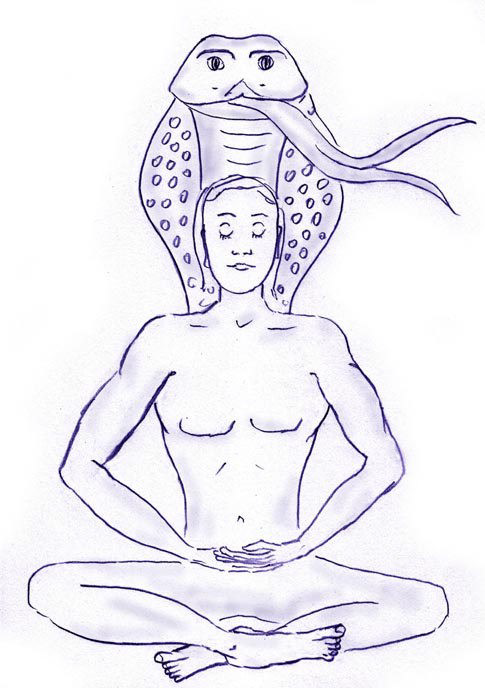 Because the Kundalini is a force which is connected to all dense and subtle planes, it is also able to become a mediator for the cosmic consciousness. We then perceive it as a golden light energy, which is lifting us into a kind of spiritual "magnetic field" in which we can sense the presence of the divine all-power nearly within reach. 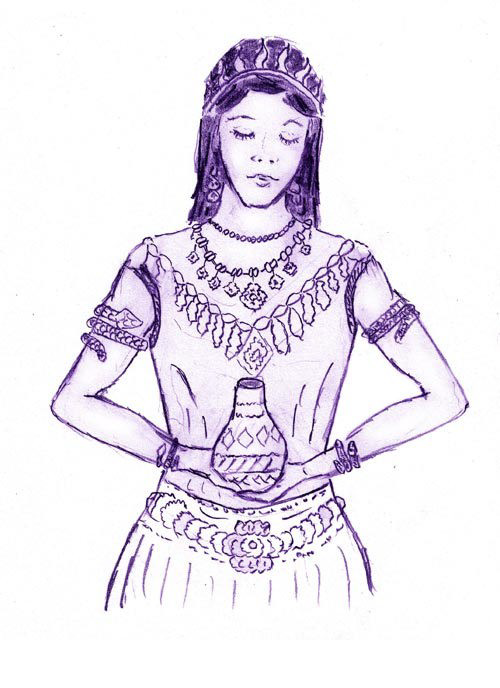 As a mirror image of the goddess (Mahashakti), her power and harmony will endow us with the highest gifts: love, happiness, content, peace and the ability to perceive and express ourselves in a creative manner.